We have traveled a long way to get from the deep red wine color Marsala (Pantone’s color of the year for 2015) to Rose Quartz and Serenity, the colors of 2016. They are about as opposite as you can get. From Marsala’s strong presence and blood pressure heightening hue, we have leaped to calming soft pink and blue. Perhaps as we enter into an election year and all the strife it will inevitably produce, the color forecasters felt we’d need a bit of serenity in our closet! Truth be told; I already do. According to Leatrice Eiseman, Pantone’s executive director, “with our hectic lives and the frenzy around us, there is an increasing demand for tranquility.” (In Style, January, 19). Too true, but have you ever considered that societal changes and trends affect the colors stylists choose for the fashions we will wear? It wasn’t until mid way through my fashion career that I realized this truth. A designer once told me that when the economy is good, the colors get lighter and when it is bad, they get darker. When you consider color can cause physical reactions within our bodies (excitement or calm, for example) it isn’t surprising that color trends are impacted by our world. Rose Quarts, for example, reminds me of softness, the early stages of a sunset, and everything feminine. Serenity is a soft blue like the light blue sky in springtime. Imaging these two colors causes a relaxed sigh to escape my lips. I find myself smiling as I write this blog post and listen to ocean waves playing in the background. That place – sunsets, blue skies and ocean waves- sounds like a great alternative to the 20 some degrees outside my office window. Interestingly, Rose Quartz is a warm color and Serenity a cool color, so by combining the two you have a yin and yang, so to speak…a complete picture. Eiseman calls it “balance.” I like it. It feels right to me. Let these two colors lead you into your new spring wardrobe, destined to help you feel calmer, softer, and perhaps a little sweeter to those around you. How do I Wear The Military Trend? Utilitarian/Military style offers clean lines. earthy colors and casual chic. One of the trends I really like this season is what I like to call Utilitarian. It is “utility” in concept, embracing a practical and casual style that works well for every day. This trend can also be referred to as military, but I like Utilitarian better because it is less limiting and doesn’t necessitate military insignia or design. Military jackets were everywhere at market, indicating the strength of this trend for winter. I saw them in many colors including olive, chocolate brown, black and oxblood. 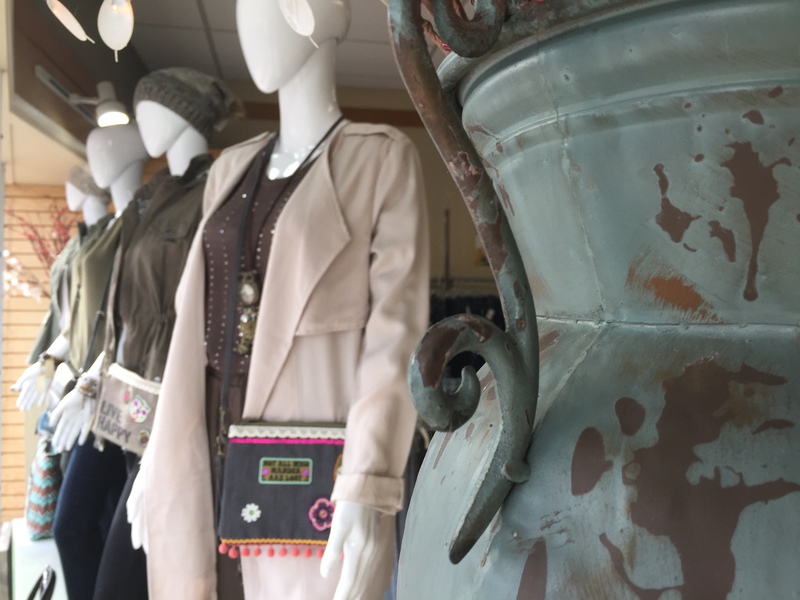 Usually, this style works best with jeans, but In this store window, we highlighted the Utilitarian trend with several items showing different ways to interpret the trend. The first model shows a dressier look that includes a light weight boxy blazer in cream paired with a soft, draw string waisted harem pant in olive green. Less easy to see is a military style vest with a draw string waist paired with a dark denim jean, a zip top in olive green paired with a black jegging and finally, a military jacket paired with a vintage wash jean. The style offers clean lines and loose fits that work for many body types and it pairs perfectly with lace up boots. The harem pant on the first mannequin could easily be worn with a heel for a dressy work outfit. But, as a casual jean look, this trend rocks. I love it with a beanie and cross body purse. It is a fashionable way to run errands or meet friends for coffee that is comfortable, easy going and chic. Who is your fashion icon? We recently had some fun with Rally to create three iconic looks from clothing in our store. The photos turned out great, and it got me thinking about how fashion defines us as it has been defining women over the years. Looking very Audrey. Top and necklace from Fashion Crossroads. Photo by Raymond Craig. Are you a classic Audrey Hepburn, like me? Or, maybe you are an edgy Madonna. Perhaps you identify more with the flirty and voluptuous Marilyn. Desperately seeking Madonna. Clothing and jewelry from Fashion Crossroads. Photo by Raymond Craig. To determine your fashion icon, ask yourself about how you choose your clothing. Do you look for timeless pieces and shapes that evoke maturity and class and fabrics that look and feel rich like wool, silk and cashmere? Do you like tailored, figure flattering styles? If yes, Audrey is your girl. Perhaps, however, you gravitate to black and like a harder edged style. Is there a bit of a bad girl in you? Do you love studs, chains, and zippers? Is leather a personal favorite? If a pencil skirt, a refined motorcycle jacket and shoe boots is your idea of the perfect work outfit, you might just be a Madonna. Maybe you love color and clothing that shows your assets off. Perfect style for you is part flirtatious and part dramatic. You don’t shy away from prints, you embrace them. A flowy skirt is your idea of a must have item. You were the little girl that chose her dress by its twirl value. You adore cotton and soft fabrics. 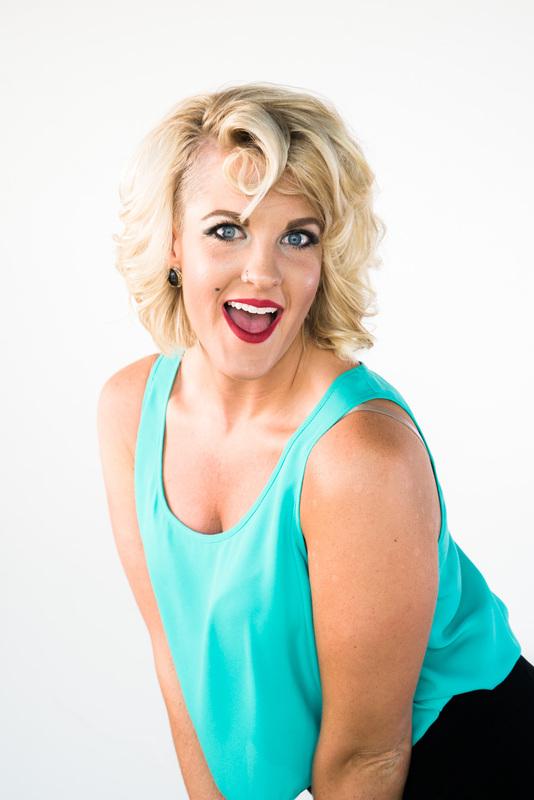 If this all sounds like you, then Marilyn just might be your icon. Just a little Marilyn. Elan tiered tank from Fashion Crossroads. Photo by Raymond Craig. The point is that each of these women knew who they were and they said it with their clothing. Fashion is a reflection of your own unique style and you should have one! What do your clothes say about you. If a stranger saw you walking down the street, could they discern anything about your personality from what you were wearing? If you’re not sure, then spend a little time thinking about what inspires you and who. Then, when you go shopping for new clothing this fall, make sure the items that you pick make you feel great and reflect who you are and who you want to be. Check out rally.com for some great quotes from these three ladies. My favorite is from my style icon Audrey: “When you grow up as a girl the world tells you the things you are supposed to be: emotional, loving, beautiful, wanted. And then when you are those things, the world tells you they are inferior, illogical, weak, wain, empty.” So here’s to not letting the world define who you are! Ankle length pant from Lisette L. Pantalon. of the spectrum and at that wonderful height where petite is too short and average is too long. That’s why I LOVE ankle pants. I can usually get an ankle pant to be just the right full length for me. But, if I want to wear the hippest new length for the season, its off to the seamstress I go to get my pant hemmed to the perfect ankle pant length. So you lucky tall ladies, this blog is here to encourage you to put aside your horrific memories of too short pants when you were a kid, and embrace a new trend this season. So let’s talk about the right length. The picture on the left shows the optimum length for an ankle pant. You want that hemline to fall an inch above your ankle bone. Any higher,and your pant becomes a cropped pant. Any lower, and the look is all wrong. This style looks great with heels, as pictured or with shoe boots. See my blog from last week for more information about these. Notice that this style usually coincides with a slim legged 60’s inspired cigarette pant. Wider legged ankle pants look better with tall boots, and are trickier to pull off. Conversely, the picture on the right shows the optimal hemline for a full length pant. Hopefully this will help you visualize the difference between the two hemlines. Notice that the full length pant falls about midway down the back of the shoe or at the bony part of your heel. This is the perfect length for a slim legged pant because the fabric won’t pool or “break” too much on the top of the foot, creating extra and unnecessary bulk. I find that ankle pants work better on me if I wear some type of a heel, wedge or dressier shoe boot. I think its important to keep your shoe sleek and not boxy. Too chunky of a shoe creates a “cankle” (when your calf goes right into your ankle) and ruins the style. Taller ladies can get away with more shoe options like ballerina flats, for example. They already have the leg length to make the look work perfectly for them. Fall is the perfect time to wear this style as the temperature is dropping but there isn’t snow on the ground forcing us into boots and socks. This style can be a great work look, as it is dressy and chic. Don’t know where to buy an ankle pant? Check out our Lisette L. ankle pant on our online store at Fashion Crossroads Inc. This is a great jet black, all stretch, pant that will fit slim through the legs just like the styles shown in this blog as well as tuck your tummy. The fabric is dressy so it can take you from work to evening to travel. I absolutely love downtown! I love the owners and the businesses that find their way there. With a locally owned business, the store becomes an expression of the owner, of their personality. Its merchandise, design, merchandizing, and mission – are like a microcosom, a mini representation of the person whose in charge. Most people are in business because they passionately believe in or love what they are selling. Every day, they get to share their expertise with you, the customer. Take me, for example, I love fashion and literature and I think women are pretty cool cats, so I totally enjoy how clothing can be an expression of our unique personalities. When you dress how you love, it is like a poster board that says, “this is who I am.” Similarly, when you come into our stores, you get a sense of who I am. 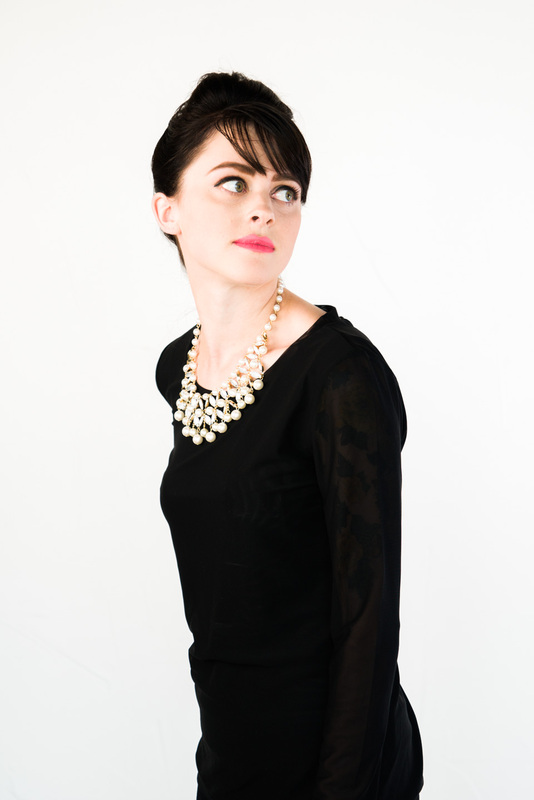 I am an Audrey Hepburn with a little Amelia Earhart and Jane Austen mixed in. That’s why you’ll find classic styling paired with a little adventure and punctuated with a desire to see women be themselves, even if it is a bit counter culture. I dig classy, bohemian, lacy and feminine, rocker, artistic and outdoorsy all because either I have a bit of all of those in my own personality or I have a friend who does. My desire is that within our two stores and 10,000 square feet, women will find a style that is an expression of who they are and who they want to become. I bet if you asked any other small business owner, they would say something similar about their passion and its expression within their business. So why am I ranting about how cool local business people are? Because if you don’t shop your local stores, you are just, plain missing out! In about two weeks, we at Fashion Crossroads will be joining a locally owned marketing firm to be a part of their summer fashion show event that celebrates shopping local. It will feature several downtown Casper businesses. This is just the kind of thing that makes me LOVE downtown. We’ll have some food from a local restaurant and great brews from our fabulous downtown brewery. We will meet in the future location of of the downtown plaza on a summer night. And we’ll combine a boutique, western store, gift store, second hand store and a bead store to create a spring trend fashion show that will be a whole lot of fun. How cool is that? 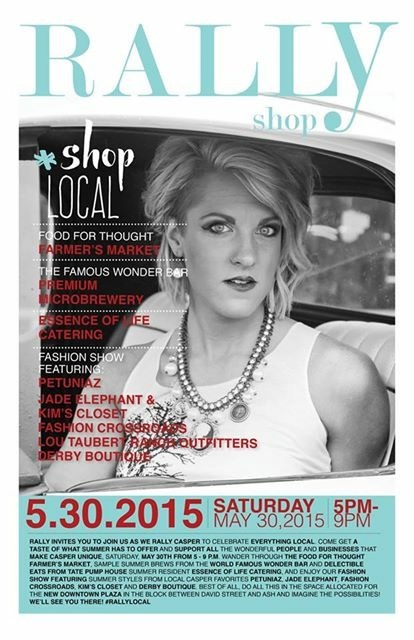 So mark your calendar for Saturday, May 30th to join us for this great event if you are lucky enough to live in Casper, Wyoming. If not, get your hiney downtown and visit your local businesses. 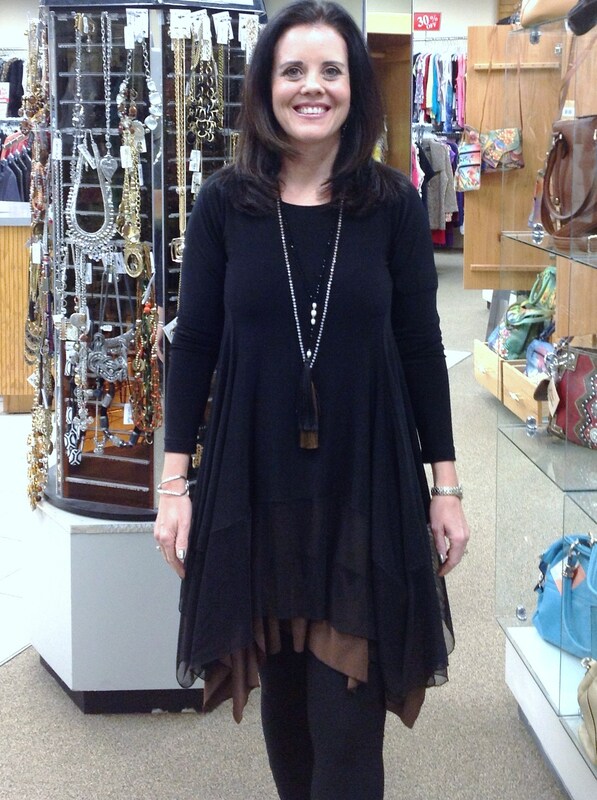 This picture shows the Sympli Chakra Tunic layered over the Keyhole tunic and paired with the Diva Legging. The legging is available in the store or online at http://Fashion-Crossroads-Inc.shoptiques.com. The Chakra Tunic is currently in stock and can be purchased at Fashion Crossroads. How do you design a great travel line? You create pieces in a wrinkle free fabric that can be washed in the sink and hung to dry and that can layer together to create totally different looks. That is Sympli in a nut shell. Having carried the line now a little over a year, I am just now beginning to understand the myriad of ways you can wear it. The versatility is actually quite astounding. Take, for example, the picture on the left. It shows the Keyhole tunic layered over the Chakra Tunic. The Keyhole is a sleeveless tunic with an uneven hemline and “keyholes” that have been cut around the bottom. The Chakra Tunic is a long sleeved tunic with a layer of mesh at the bottom. Although it is hard to see in this picture, that layer of mesh shows through the keyholes and peeks out under the uneven hem of the Keyhole Tunic creating a multi-media look with depth. The Chakra Tunic layered over the Keyhole Tunic and paired with the Diva Legging. Keyhole tunic peeks out from underneath the mesh of the Chakra Tunic. You get the the same multi-media look with a completely different presentation. From these same three pieces, you can create four different outfits. 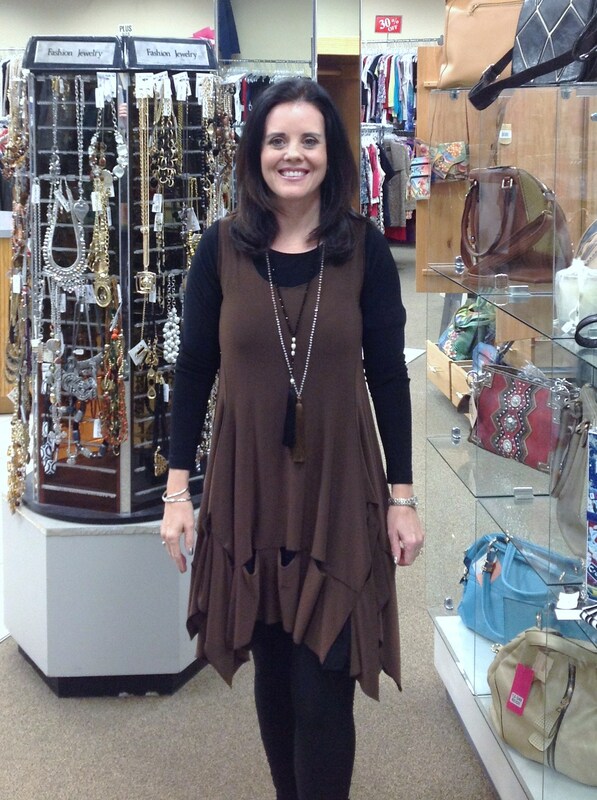 The Keyhole and Chakra Tunics also look great by themselves paired with the same legging. Add one more bottom like the Diva Capris or Skess (skirt/poncho) and you now have eight outfits with only four pieces. This is the genius of travel clothing and of Sympli.